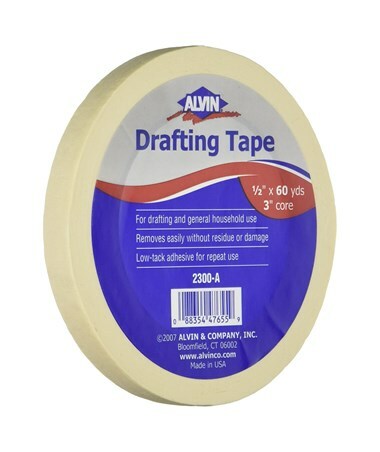 The Alvin Drafting Tape is a versatile tool that is ideal for drafting, crafting, and general use. 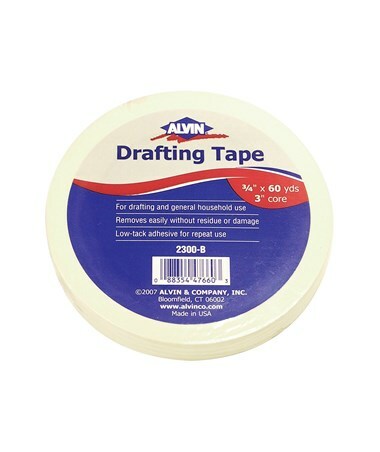 It features low-tack adhesive for repeated use. 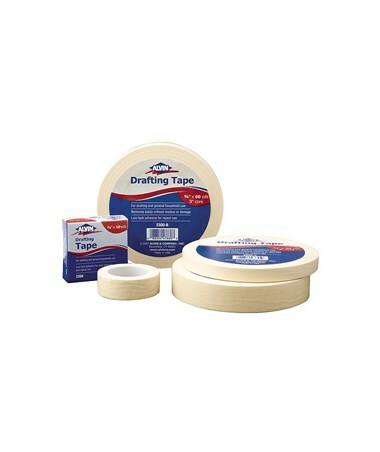 Perfect for artists and draftsmen, it features smooth surface that allows T-square, triangles, and other straightedges to glide evenly and steadily over drawings without hanging up. 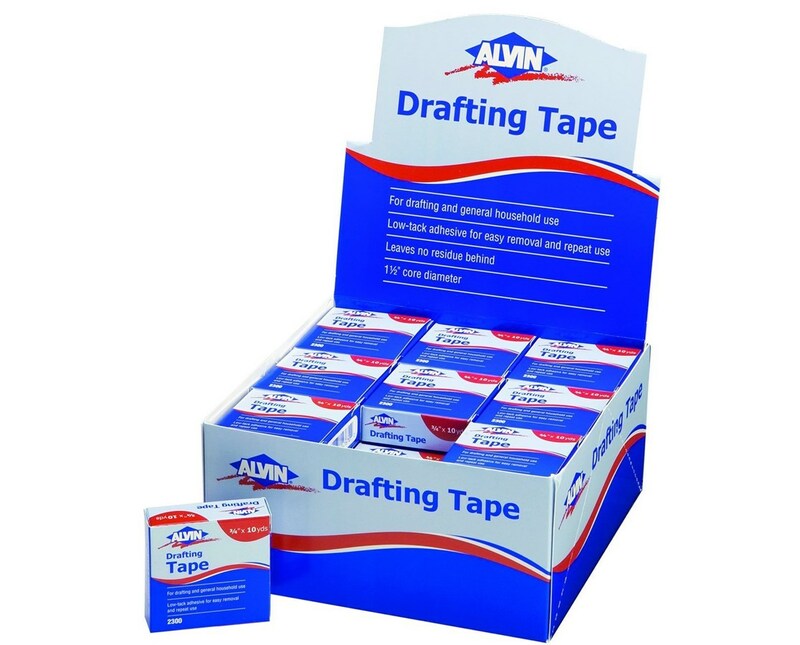 The Alvin Drafting Tape can be removed easily from any surface, including paper, without damaging it or leaving any stain or sticky residue. 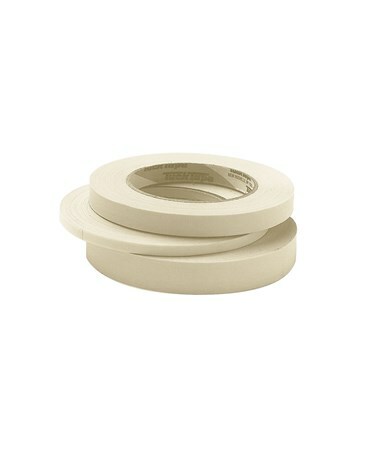 It offers three different thickness— ¾-inch, ½-inch, and one-inch—to accommodate various applications. It is available in ten-yard roll with 1 ½-inch core diameter, 60-yard roll with three-inch core diameter, or in a 36-pack display. 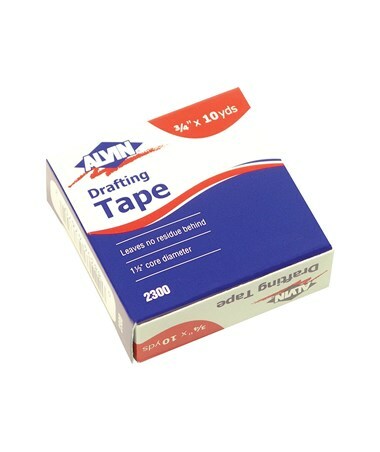 The 60-yard roll is individually shrink-wrapped while the ten-yard roll comes in a box. 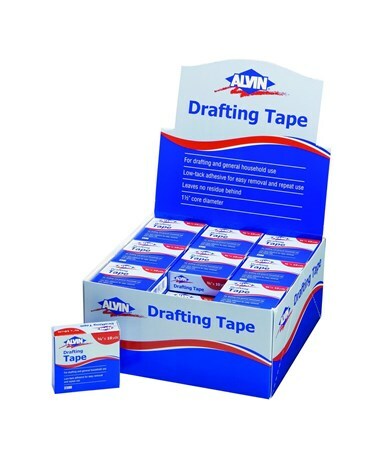 The Alvin Drafting Tape comes in four different sizes and two package options. Please select your preference from the menu above.